NAGOYA, Japan – Toyota Motor Corp., reeling from massive recalls on three continents, may have trouble meeting its 2010 sales target because of quality problems, a top executive said. Shinichi Sasaki, vice president in charge of quality, said it was still unclear what the financial impact of the recalls would be. But sales will likely take a hit, he said. Since last fall, Toyota has recalled some 7.7 million vehicles in the United States, Canada, Europe and China to fix problems that could trigger unintended acceleration in its cars. The number recalled falls just short of the 7.8 million cars Toyota sold worldwide last year. “The sales forecast is a concern for us,” Sasaki said today at the company's first press conference in Japan to address the rash of quality problems. In the past, Toyota has experienced a 20 percent fall off in sales in the month immediate following recalls, he said. This time the impact is expected to be bigger, he warned. 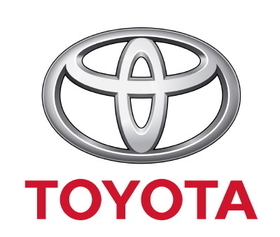 Last month, Toyota forecast global sales to climb roughly 6 percent to 8.27 million vehicles. The figure includes sales of its truck subsidiary Hino and its small car affiliate Daihatsu. Toyota will announce its third-quarter earnings on Thursday. All eyes will be on whether the world's biggest automaker changes its earnings or sales outlook. The company's current forecast calls for a second straight year of red ink. But some analysts have been predicting a slim operating profit on the back of deep cost cutting measures. Sasaki downplayed criticism that quality control suffered because of Toyota's rapid overseas expansion in recent years. He also backed the performance of the U.S.-based company that supplied the faulty pedal mechanism triggering January's recall of 4.45 million vehicles. “I don't think the expansion overseas affected quality whatsoever,” Sasaki said. 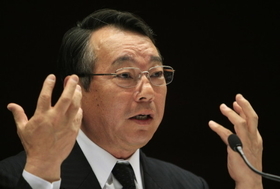 Toyota shares blame with pedal supplier, Sasaki said at a news conference. CTS Corp. of Elkhart, Ind., makes the problematic pedal mechanism. 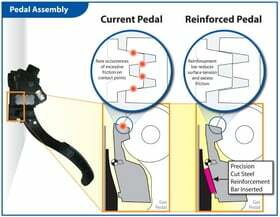 Sasaki said Toyota shares the blame for the defective pedal because it was jointly designed by Toyota and CTS engineers. In rare cases, the pedal can stick, leaving the engine's throttle partially open. “We have full trust in their engineering and quality ability,” he said. The pedal recall, announced Jan. 21, came on top of a recall of 4.3 million vehicles in the United States last fall. That recall was to fix floormats that could jam the accelerator pedal and result in runaway acceleration. Toyota added another 1.1 million U.S. cars to the floormat recall last month. Another 200,000 vehicles were recalled in Canada for the floormat issue. At least 2.1 million vehicles are affected by both the floormat and the pedal recalls. Both safety actions are aimed at addressing repeated complaints about sudden acceleration in Toyota vehicles. Toyota does not keep a tally of total complaints, injuries or deaths. But Safety Research & Strategies Inc., an auto safety consultancy, has linked the problem to 19 deaths since 1999. It has also compiled more than 2,000 complaints from Toyota drivers. Toyota has launched a media blitz in the United States to win back consumer trust. It took out full-page advertisements in national newspapers to explain the recalls. And on Monday, Jim Lentz, president of Toyota Motor Sales, appeared on NBC's Today show, CNN and CNBC to give details of Toyota's planned fix for the problems. Toyota says it hopes to distribute mailings this week to the 2.3 million owners targeted in the pedal recall. The Japanese carmaker says it will be vigilant in reaching each of the affected customers and hopes to have all repairs done within 90 days. Toyota has begun shipping repair parts to U.S. dealers and training them how to conduct the fix. The effort involves installing a steel reinforcement bar into the gas pedal's friction device, a mechanism that controls the pedal's return to the idle position after being pushed down. The actual repair will take about 30 minutes, and Toyota said it will cover all costs associated with the work. Drivers shouldn't notice any change in the feel of the pedal, the company said. The repair involves installing a steel reinforcement bar into the gas pedal's friction device. Last week Toyota suspended deliveries of the eight models affected by the pedal recall in advance of a production shutdown scheduled for this week. Sasaki denied accusations that electronic malfunctions are contributing to the reports of unintended acceleration. Toyota has repeatedly said its electronic controls are problem free.